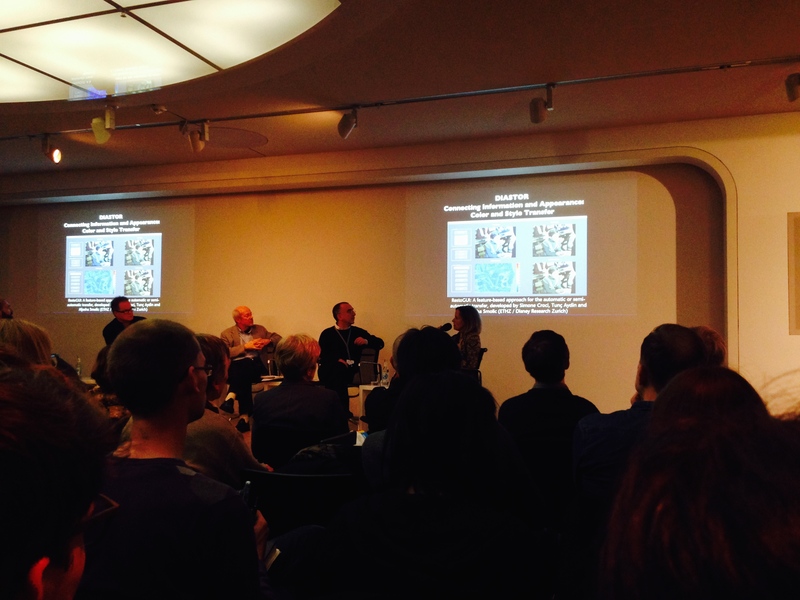 In the context of the retrospective Glorious Technicolor Barbara Flückiger introduced examples of the research within DIASTOR at two occasions. 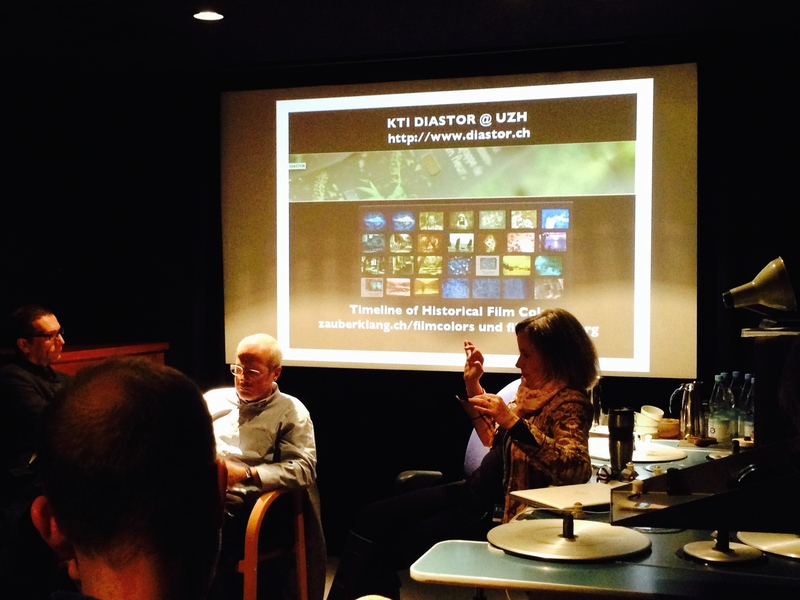 The working group “restoration” of the Deutsche Kinematheksverbund offered the opportunity to give an overview of the numerous case studies undertaken in DIASTOR ranging from the analysis of scanning aspects e.g. of Dufaycolor to methodological questions of photographic documentation of analogue film in the digital domain as a tool for color grading. The panel discussion “Challenges and Opportunities in Restoring Technicolor” was a high profile forum, hosted by Martin Koerber, Head Curator of the Film Archive at the Deutsche Kinemathek, with the experts Paolo Cherchi Usai, Head Curator at the George Eastman House, Ulrich Ruedel, analytical chemist and film restorer, and Schawn Belston, Executive Vice President, Media and Library Services at 20th Century Fox Film. Barbara Flückiger presented the specific example of the Swiss Technicolor restoration “Heidi und Peter” – a collaboration with the Swiss Television SRF. This year’s retrospective of the Berlinale Film Festival in Berlin is dedicated to Technicolor. The program showcases a series of Technicolor films selected by the Deutsche Kinemathek in collaboration with the George Eastman House in Rochester as well as other archives. Based on her research for the Timeline of Historical Film Colors, DIASTOR project leader Barbara Flueckiger contributed a major article to the publication Glorious Technicolor, edited by Connie Betz, Rainer Rother and Annika Schaefer for the Deutsche Kinemathek. The article sums up the various technological, aesthetic and economical hurdles that had to be overcome by the Technicolor company in its initial tumultuous and difficult years before the advent of the famous and successful three-strip dye-transfer process in 1932. 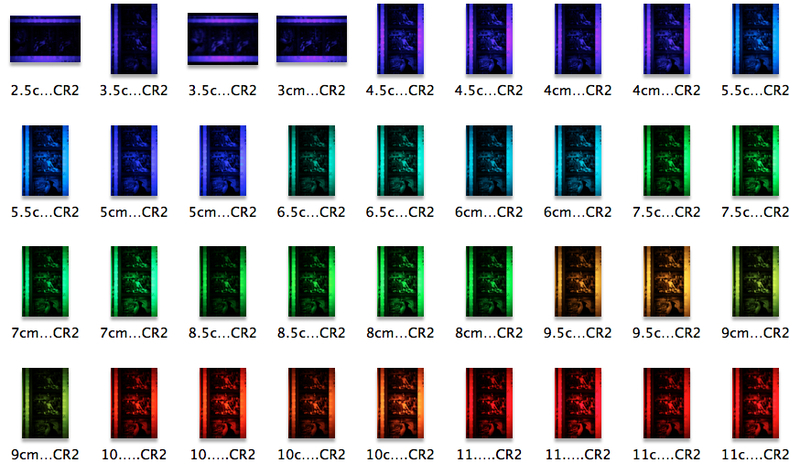 Starting with an additive process – Technicolor No. 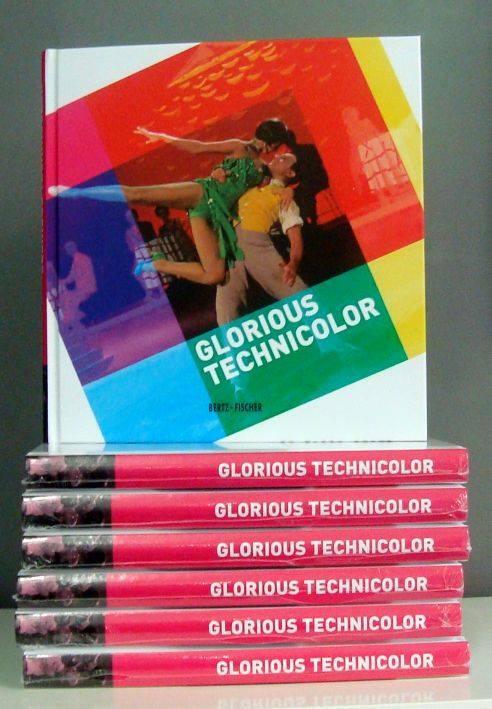 I – soon after its foundation in 1915, Technicolor invented three different color processes with varying success, all of which were two-color processes. Technicolor No. II attempted to combine two colors on two thin film strips that were glued together, with the effect that they cupped and scratched as a result of the heat in the projector. Technicolor No. III was the first dye-transfer process, combining two records in green and orange-red. To this day, most of the early Technicolor films circulate in versions that do not provide an authentic impression of the aesthetics of early Technicolor. Therefore Barbara Flueckiger inspected and documented approximately 20 nitrate prints and various single frames from the 1920s in archives such as the Academy Film Archive in Los Angeles, the Packard Campus of the Library of Congress in Culpeper (see report on filmcolors.org), the Moving Image Collection of the George Eastman House (see report on filmcolors.org) in Rochester and the National Film Archive of the Czech Republic in Prague. The close analysis, inspection and documentation of the film material is an important source to improve the translation of the historical films’ properties into the digital domain in the process of their digitization and restoration. In addition, DIASTOR currently works on several Technicolor restorations related to three-strip Technicolor, supervised by DIASTOR senior researchers Claudy Op den Kamp and David Pfluger. With a completely new feature-based transfer algorithm developed by Simone Croci, Tunç Aydin and Aljosha Smolic from DIASTOR implementation partner Disney Research Zurich in collaboration with the Federal Institute of Technology ETH in Zurich, it becomes possible to reconstruct the specific Technicolor look with its dark saturated colors and the specific image texture created by the dye-transfer process from a chromogenic negative. This approach is connected to a thorough material analysis including colorimetric measurements executed by the DIASTOR research team in collaboration with Giorgio Trumpy (Digital Humanities Lab University of Basel; National Gallery of Art Washington) who contributed to the spectral analysis. Various insights will be presented at the panel discussion Challenges and Opportunities in Restoring Technicolor, in which Barbara Flueckiger will be joined by some of the leading experts in the field: Paolo Cherchi Usai, Head Curator at the George Eastman House, Ulrich Ruedel, analytical chemist and film restorer, and Schawn Belston, Executive Vice President, Media and Library Services at 20th Century Fox Film. The discussion will be hosted by Martin Koerber, Head Curator of the Film Archive at the Deutsche Kinemathek. Several members of the research team, including our partner SRF, gathered for a third ‘Digital Desmet’ workshop at project partner Cinegrell in Zurich. Paulo Fonseca (colorist, Beeld en Geluid) joined us for both days in order to research different routes of establishing a ‘trustworthy’ analogue colour reference for digital grading, which included side-by-side projection of analogue and digital elements with the help of an ARRI LocPro35 portable projector (kindly made available by Richard Grell). In addition, a work-in-progress presentation by Simone Croci (Disney Research Zurich) led to a productive discussion on how to further refine and define the translation of the Desmet method into digital imaging tools. There will be two more sessions before the final results will be presented at The Colour Fantastic conference at EYE Film Institute at the end of March 2015. 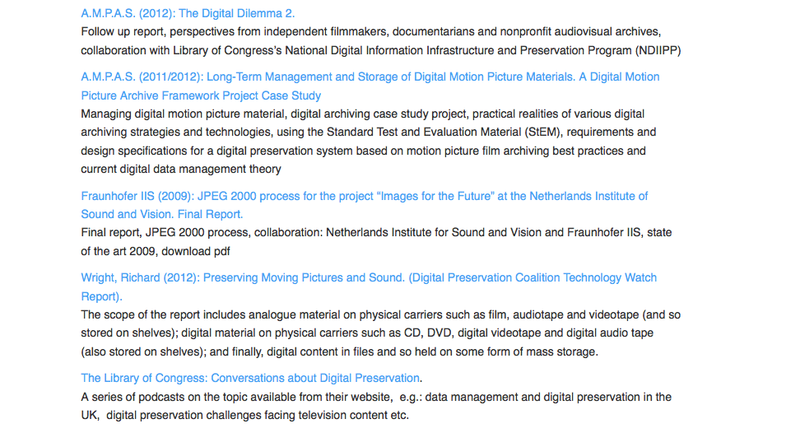 In November/December 2014 the resources section on the DIASTOR website was updated: almost 100 links covering various aspects of the digitization of audiovisual heritage, such as the film historic background knowledge, technical issues of scanning, restoring, digital imaging and storing, and ethical aspects were classified in categories like “Organizations”, “Guides”, “Reports”, “Projects”, “Festivals and Conferences” and “Case Studies”. In addition, there are also some examples presenting digitized material online. Thank you to the people that have already provided invaluable input. Please send us your comments, feedback or contributions. For further discussion please contact Franziska Heller. DIASTOR is currently working on the restoration of the Swiss film HEIDI UND PETER produced in 1955 in Technicolor No. V. The restoration is commissioned by DIASTOR partner SRF Swiss Radio and Television, which owns the rights of the film. The film will be part of the program “Switzerland in Technicolor” and includes the film SWITZERLAND SPORTLAND provided by the Harvard Film Archive. Only one reel of the film is complete with the black-and-white separations while these separations were lost for the other reels. Several dye-transfer prints are available, all of them have different hues and some of them show quite heavily scratched surfaces. To receive more information about the physical properties of the Technicolor dyes and to understand the relationship between the different prints, the various elements were documented photographically and analysed by a statistical method. This method allows to estimate the analytical densities of the single dyes. Based on the results of these measurements the scanning and color grading will be adjusted accordingly by a tool developed by DIASTOR research partner Swiss Federal Institute of Technology in collaboration with the implementation partner Disney Research Zurich. Colorimetric measurement of one of the HEIDI UND PETER dye-transfer prints. On October 31st and November 1st Anke Wilkening, Friedrich-Wilhelm-Murnau-Stiftung, known for her work on the restorations of such ‘classics’ as Metropolis (Lang, 1927), Die Nibelungen (Lang, 1924) and Das Cabinet des Dr. Caligari (Wiene, 1920), came to Zurich to give an insight into her work. The workshop was organized by the Department of Film Studies at the University of Zurich in collaboration with DIASTOR, and focused on restoration case studies. First, Anke Wilkening gave an overview of the history of the Friedrich-Wilhelm-Murnau-Stiftung. She explained the specifics of the Stiftung’s holdings as well as its legal situation as an institution. Especially when it comes to the films from a complex historic period, it becomes obvious how a current perspective and evaluation of a certain historic time can strongly influence restoration politics, funding possibilities and dissemination practices of an artifact from the era in question. The Murnau-Stiftung with its specific holdings offers an interesting example because the status of the foundation is explicitly a private one – with the incentive to keep certain films out of reach of the state. Anke Wilkening also pointed out the relationship between Germany’s current federal system, the landscape of different audiovisual heritage institutions and their collaborative working mode within the Deutschen Kinematheksverbund. Another productive collaboration she mentioned is the work the Murnau-Stiftung does with ARTE, one of the last TV stations in Germany broadcasting silent film. After the more general introduction, which highlighted that film restoration never takes place outside the actual cultural and political system, Anke Wilkening proceeded by presenting the special challenges in restoring three films by Fritz Lang. Lang’s films – and especially his famous film Metropolis – are a prime example for restoration as a process of a work-in-progress; nowadays with rapidly changing technologies, but also the value attributed to a film can vary within a changing social and cultural environment. Referring to the restorations of Die Nibelungen and Metropolis Anke Wilkening illustrated that in the first place, ‘film restoration’ means interpreting physical traces in surviving material filmic elements. It is central to understand historical practices of copying and disseminating films in order to be able to define how different generations of elements relate to each other; where can and should one get aesthetic information for the restoration process? 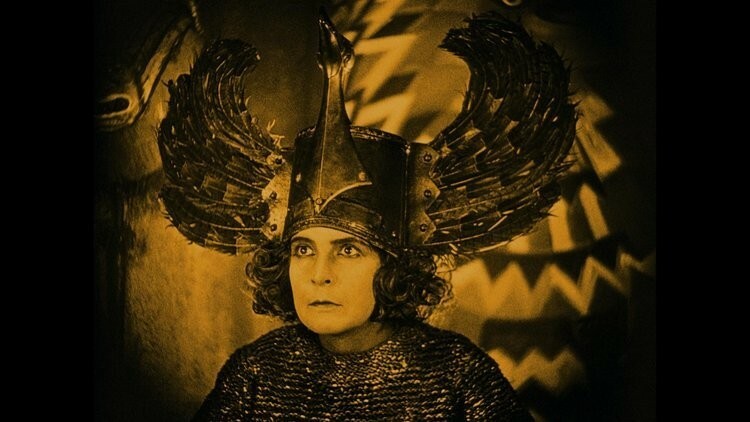 The historic filming practices of the examples presented by Anke Wilkening posed an even bigger challenge for the already problematic term of the filmic “original”: the historic ‘classics’ (like Metropolis or Die Nibelungen) were filmed with several cameras and thus produced different camera negatives. It became obvious how much the conditions and the intentions of the present are shaping the workflow and the result of a restoration process. Anke Wilkening was very conscious and transparent about the problem: at the beginning of every case study she defined her restoration objective within the given institutional, funding and cultural framework but also in view of the surviving material and other (secondary) sources. All the previous aspects were taken further in the presentation of the 2014 restoration of Das Cabinet des Dr. Caligari. As also DIASTOR was involved in analyzing and capturing the historic colour appearance of the surviving tinted and toned Caligari prints, Barbara Flueckiger introduced during this part of the workshop her photographic method to document and transfer the colors into the digital realm (see Caligari on DIASTOR). DIASTOR is currently working on the further development of this method in collaboration with the Stiftung Deutsche Kinemathek, EYE Film Institute Netherlands, Haghefilm and Cinegrell postproduction (see DIASTOR tests Digital Desmet). Anke Wilkening stressed in this context how the “memory” of films as a result from watching them for decades can influence the judgments of restorers, archivists and film historians, but also of the public: in the case of Das Cabinet des Dr. Caligari Anke Wilkening experienced that the visual quality of the 4K scan was judged as “too perfect” because one was used to see the film in prints in lower resolution and higher contrast. The central lesson is that the notion of “historical authenticity” is dependent on viewing habits nurtured by how the historic films were seen for decades. The restoration workshop ended with the entertaining case study of the restoration of Glückskinder (Martin, 1936). The musical comedy balances between the integration of the German ideology of the 1930s and resistance against it. From a technological perspective the challenges of sound restoration emphasized the importance of this often neglected area (more information). 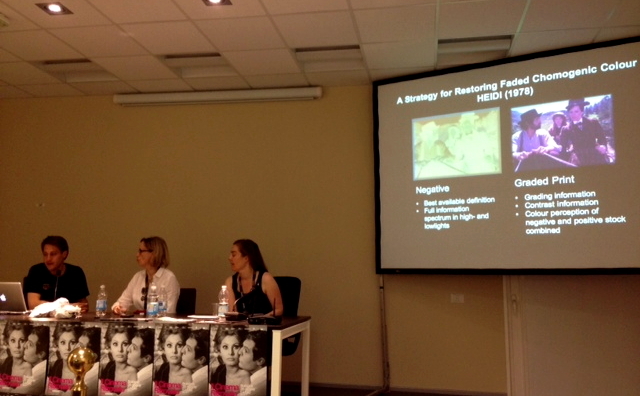 In summary, the two workshop days gave an intense and multifaceted overview of what film restoration can currently mean and imply. For the ca. 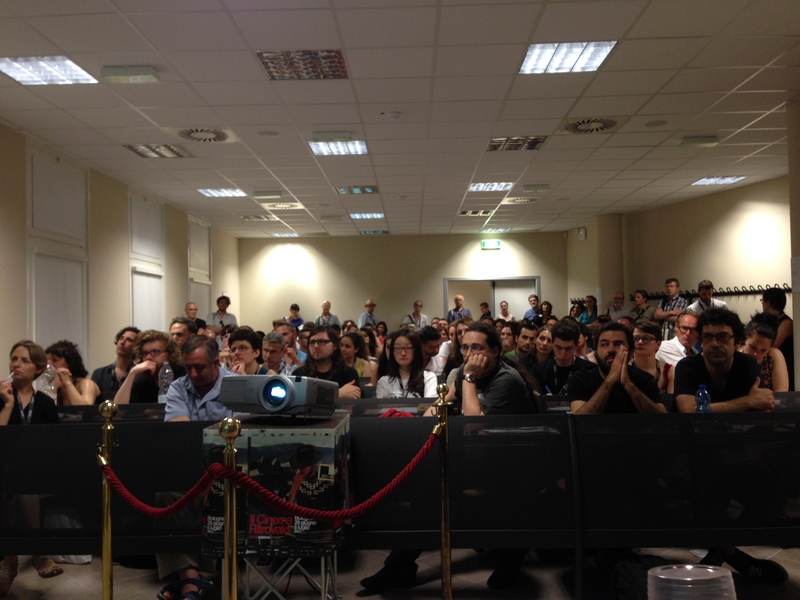 60 film studies students present it was surely an impressive demonstration of how knowledge about film history, historical technologies and cultural frameworks can be turned into practical workflows and ways to shape film culture and experience today. Initial tests have been performed with a film title of the EYE Film Institute at Haghefilm in Amsterdam late September 2014 and a second test trajectory has been scheduled for November 2014 on a film title of the Deutsche Kinemathek at Cinegrell Postproduction in Zurich. Tests include scanning on various machines, such as Oxberry, ARRI and Northlight in order to optimise settings for the film material with applied colours, as well as addressing the question of how colour references are established in colour grading. 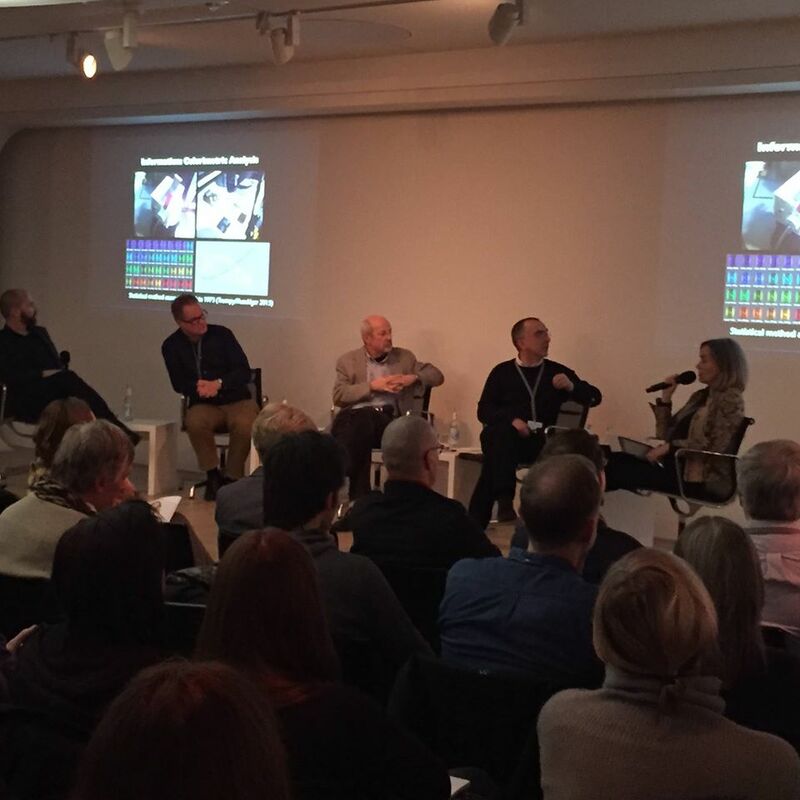 Results will be presented in March 2015 at The Colour Fantastic conference at EYE in Amsterdam. Great DIASTOR conference report by Christian Gosvig Olesen! We are proud that DIASTOR was mentioned in VARIETY in the framework of a report on DIASTOR partner Disney Research.